Harrison earned a Bachelor of Science in Biology and a Master of Education specializing in Adult Education both from the University of Central Oklahoma. Additionally, she earned a Master of Business Administration from Washington State University. 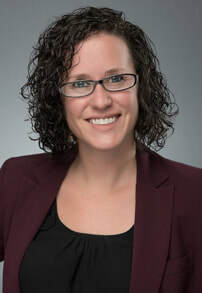 She is also a member of the The American Association of Tissue Banks (AATB), a Force 50 Foundation Board Members, an Association for Biology Laboratory Education (ABLE) Member and holds the AATB Non-Transplant Anatomical Donation Council (NADO) Council Chair. LifeShare encourages residents to enroll in the Donate Life Registry. Oklahomans have three options to register as an organ, eye and tissue donor. Residents can sign-up when renewing their driver’s license, visit www.LifeShareRegistry.org and sign up online or call 800-826-LIFE (5433) and request a donor registration form.